Oregon’s General Fund revenue growth slowed at the end of fiscal year 2015, as collections of personal income taxes dried up during May and June. Income taxes withheld out of paychecks slowed sharply, and the tax filing season ended with very weak payments as well. As a result of the weakness, General Fund revenues fell short of the May 2015 forecast by $56 million, which reduces the ending balances that were set aside by budget writers in June. Oregon’s tax collections have since picked back up, growing rapidly to start off fiscal year 2016. Although the General Fund ending balance for the 2013-15 biennium has become smaller, the associated reduction in available resources for the current biennium is largely offset by Oregon’s kicker law. With less personal income tax having been collected than was expected in May, revenues have moved closer to the kicker threshold, resulting in a smaller credit for tax filers next year. 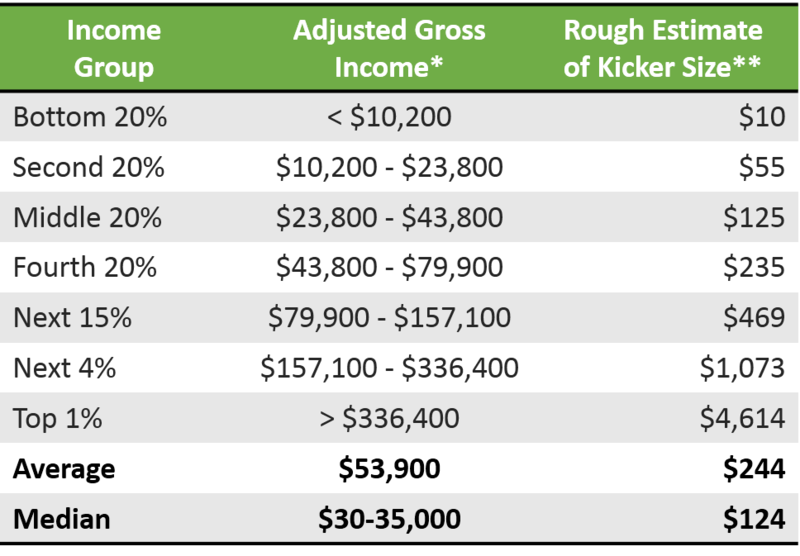 Excluding corporate taxes, General Fund revenues exceeded the 2% kicker threshold by $111 million (0.7%), resulting in a kicker credit of $402 million. Due to actions taken by the 2011 Legislature, this kicker payment will take the form of a credit on 2015 tax returns rather than being issued as a check at the end of the year. Looking ahead through the rest of the current biennium, the outlook for available General Fund and Lottery resources has remained relatively unchanged. 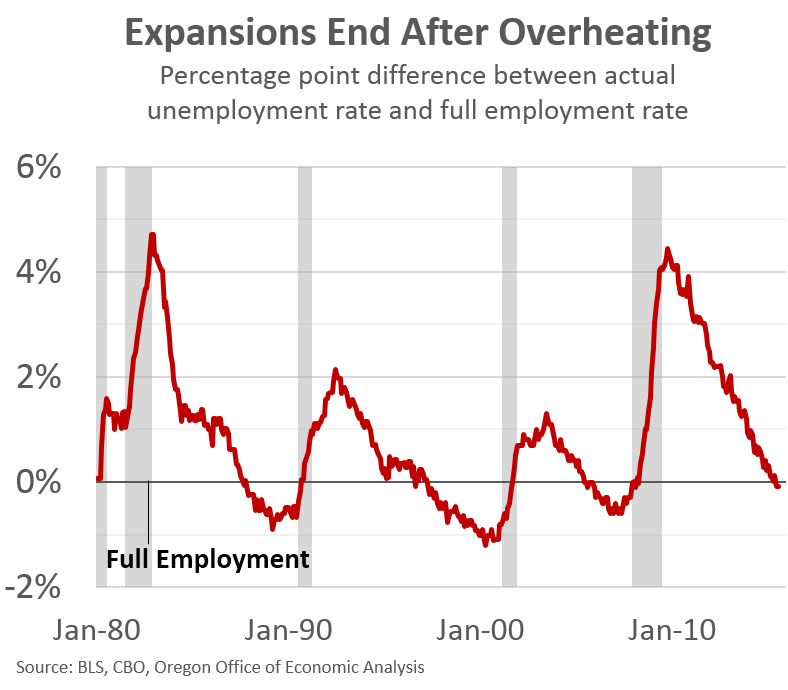 Although downside risks are mounting, the underlying outlook for employment and income growth has remained stable, leading to a stable revenue outlook. The revenue outlook is stable, yet uncertain. Volatility in equity markets is injecting a great deal of risk into the forecast. Oregon’s budget depends heavily on personal income tax collections tied to realizations of capital gains. These collections are extremely volatile, with revenues subject to the sometimes unpredictable behavior of investors. Although housing wealth has played a larger role in driving taxable capital gains over the last decade than in the past, earnings and losses in stock markets account for the lion’s share of movements in taxable capital gains in the typical year. See our full website for all the forecast details. Our presentation slides for forecast release to the Legislature are below.